That's an MVP throw right there by Matt Ryan to Julio Jones. Ladies and gentlemen, @JulioJones_11 . Patriots' defense with a monstrous stop. Falcons now out of field goal range. It's 4th and 33! Tom Brady's got the ball. 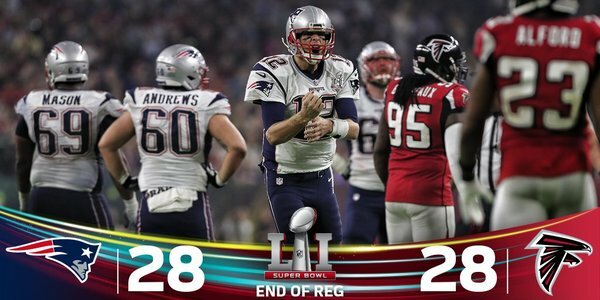 #Patriots first down on the edge of the Red Zone! I cant belive we r losing! It's a @Patriots 1st down! 2 POINT CONVERSION IS GOOD!! Holy cow. Amendola with the two-point conversion to tie it, 28-28. Did Belichick leave too much time on the clock, though? Still :57 left. 25 unanswered points for the Patriots. The Falcons are about to punt with 11 seconds left. #Patriots ball to begin OT. #Patriots injury update: Dion Lewis, hamstring, return questionable. Brady + Amemdola = #Patriots 1st down!! Brady to Edelman for ANOTHER #Patriots 1st down. 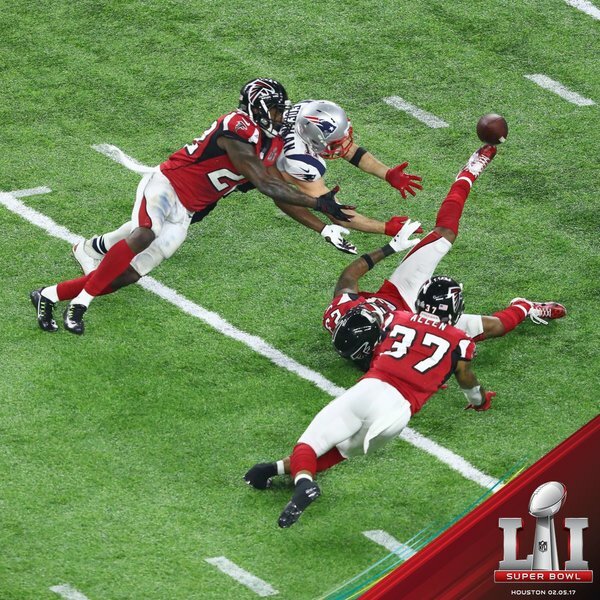 Pats ball on the ATL 25. If they score a TD...it's over.